I join thousands of people in praying to Allah for the repose of the great soul of Alhaji Muhammadu Bello Masaba as I write this short tribute in memory of his long and eventful life. Masaba, a Muslim cleric described by Daily Trust as “super polygamist,” died in Bida, Niger State nine days ago. His biological and social legacy will however continue to pose a challenge to heads of Nigerian households for a long time to come. There were three “vital statistics,” such as we may call them, that made Alhaji Bello to stand out among Nigerian family heads at the time of his departure. The first was his age; he was 93 years old. The second was the number of his wives, put at 130. And the third was the number of his children, put at 203. In addition to these, Daily Trust’s reporter said Masaba had “many grand children as well as an army of dependants.” It is very annoying and I am on the verge of accusing the Guinness Book of World Records of racism for not yet sending a team to Bida to verify these vital statistics and accord to Alhaji Bello the pride of place he deserves in its glossy publication. Living to the age of 93 in Nigeria is not a small achievement. According to UN agencies, life expectancy here is only 52 years for men. This means Masaba almost doubled his expected life span. He lived all or most of his life in Niger State. This state is called “the power state;” many Nigerians think it is because it produced two powerful military rulers but the state government claims it is because of the hydroelectric power stations at Jebba, Kainji and Shiroro. Still, Niger State is well known for its epileptic supply of electricity so Masaba would have lived most of his life in the dark, except for bush lamps. The second Masabian vital statistic was the number of his wives. 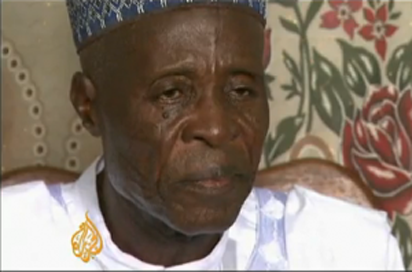 When Daily Trust first reported on him about nine years ago, the number of his wives was put at 84. Eighty four was also Alhaji Bello’s age at the time so I thought he had a wife for every year of his life. However, by the time he departed nine days ago, family sources said the number of his wives had grown to 130. If he paid dowry and also delivered the traditional wedding clothes called lefe on all of them, then that was enough money to tar the Bida to Mokwa road. I was thinking of the space required to house 130 wives. Wives need a lot of space; at least a bedroom, parlour and kitchen in addition to a room for their children. In Northern Nigeria here, before a bride is taken to her husband’s house, an advance team of powerful aunties must first go and inspect the house and satisfy themselves that their daughter has ample space. From the little that I know of Northern Nigerian wives, not many will agree to share a room with other wives. The feeding arrangement in Masaba’s house was likely to dwarf those of Maiduguri’s IDP camps. How many bags of rice, maize or millet are needed every day to feed a family of this size? In these days of economic recession, you hear many Nigerian family heads with less than a dozen persons under their roofs complaining that their bags of rice finished too early. “I bought this bag of rice when I got my last month’s salary. How can it finish now when the month is only mid way?” I am sure Masaba made no such complaints because many bags of grain were guzzled in his household every day. If he had been nagging about that, he would never have lived to the age of 50, much less 93. Was feeding centralised in Alhaji Bello’s house? Bida is the home of intricately embroidered brass and clay pots but I am yet to see one Bidda pot large enough to cook food for 400 people. Before someone says I have not seen many Bida pots, remember that we were together in the North Western State. The food distribution formula in Masaba’s house would amaze and puzzle Coca Cola’s distribution manager. In many universities’ management classes Coca Cola is held up as the classic product distributor. Its sales trucks are to be seen in every street corner, collecting empty crates from vendors and replacing them with bottles full of the fizzy drink. I however suspect that if Coca Cola’s distribution manager is assigned to distribute food in Alhaji Bello’s house, he might be at his wit’s end. Most probably the feeding exercise was decentralised. When a Northern Nigerian compound grows too big or where it accommodates a loosely connected extended family, or where there exists strained relations among the wives in a nuclear family, the cooking pot is decentralised in order to reduce friction. Trouble is, where there are many different cooking pots in one large compound, some pots are bound to have richer ingredients than others and some cooks are certain to have more expertise than others. Children are not fools, young as they are; they quickly discover which food is tastier than others and they gravitate to that pot under the pretext of playing with the children of that particular wife. This adds more strain to inter-wife relations. Even in a modestly-sized Northern Nigerian household, the formula for distributing the family’s meal is an admixture of linear algebra, integral calculus and quadratic equations. A woman sharing the family’s food takes into consideration numerous factors such as age, status, body size, appetite, health and sickness, favour and disfavour as well as visitors and residents. The third vital socio-biological statistic of Masaba’s house was that he left behind 203 children. Phew. Former President Ibrahim Babangida lives not too far away in Minna; he was the one who decreed that Nigerian families should not have more than four children each. Maybe IBB was thinking of the cost of training children in Swiss schools but Masaba was thinking of helping hands on the farm. Before the white man spoiled African farmers by bringing in tractors and ploughs, farm productivity was directly proportional to the size of households. During our primary school days, whenever the first rains of the year fell, the headmaster abruptly closed down the school so that all pupils would rush home and help their parents with the planting. Any farmer who had few or no children to help him with the planting was seriously pitied, in those days. Now, for a man like Alhaji Bello who was born around 1923, he must be thinking of those good old days and was striving very hard to ensure that his farms had enough helping hands. If Masaba also sent his children and grand children to school, Bida Local Education Authority must dedicate a school to this household. I am calling on the United Nations Population Fund to bestow a special medal of honour to “the other room” in Muhammadu Bello Masaba’s house. Editor’s Note: This article was initially published by DAILY TRUST Newspaper and titled ’93 years, 130 wives, 203 kids’.